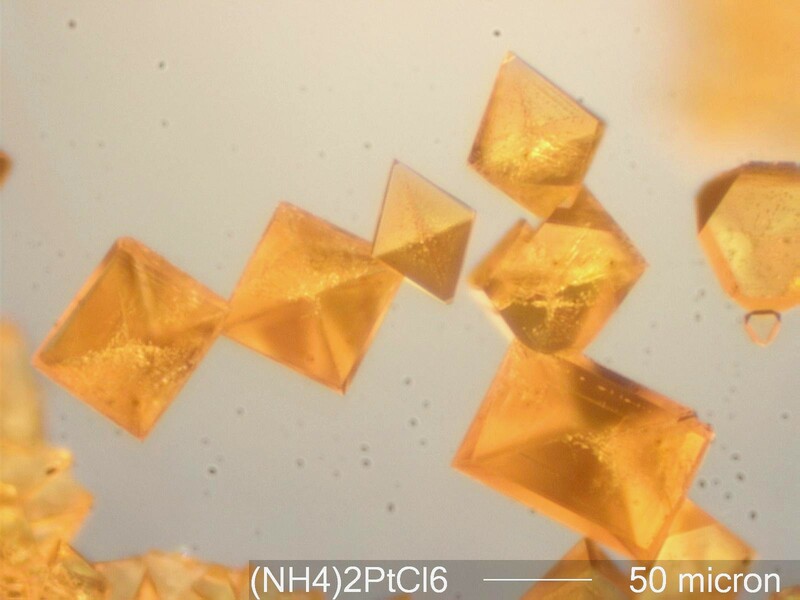 These are crystals of ammonium chloroplatinate (NH4)2PtCl6 formed in a hanging drop of chloroplatinic acid over a test material containing the ammonium ion or for which a predicted reaction would release ammonium hydroxide. In this case the reaction is urease with urea. This is a good test to detect the presence of urine. Chamot, Emile Monnin and Clyde Walter Mason, HANDBOOK OF CHEMICAL MICROSCOPY, Volume II, pp. 74-5, 1940.